The United States Secretary of Education Betsy DeVos attempted to defend $7 billion in cuts from the Education Department before a House subcommittee yesterday. Several of those cuts affect special education programs, including the entire Special Olympics budget. Under the President’s recently submitted budget, $17.6 million used fund the Special Olympics was cut. When asked if she knew how many children that would affect, DeVos said she didn’t know. DeVos then tried to justify the cuts, saying that the Special Olympics also receive funding from the philanthropic sector. The proposed budget also cuts 26 percent to state grants for special education, and millions in other programs, including those supporting blind students and children with autism. At the same time, the budget proposes spending $60 million more in charter school funding. Pocan pointed out a recent study showing that the U.S. government wasted $1 billion on charter schools that never opened, or that were closed. 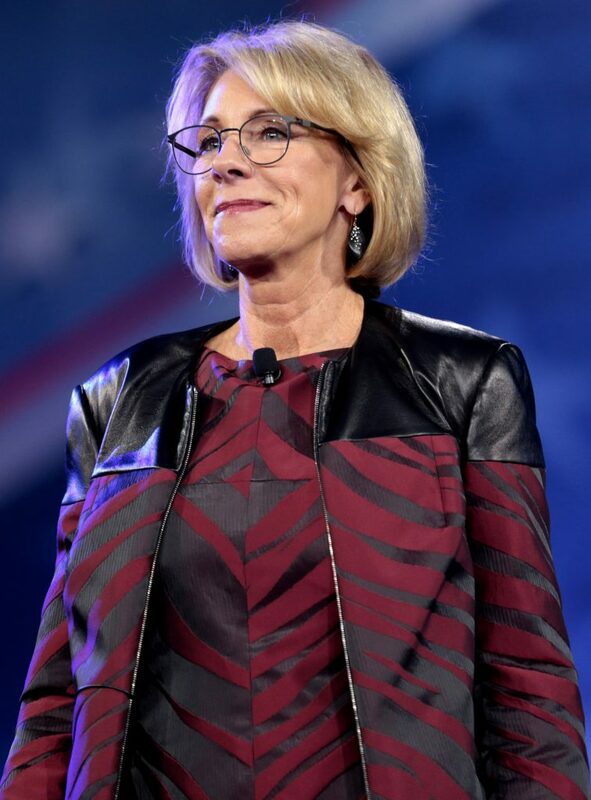 “We are not doing our children any favors when we borrow from their future in order to invest in systems and policies that are not yielding better results,” DeVos told the subcommittee members. DeVos has long been a supporter of charter schools and school choice. In February, she unveiled the Education Freedom Scholarships and Opportunity Act, a piece of legislation that would give up to $5 billion per year in tax credits to businesses who donate to groups providing school choice scholarships. This is just disgusting and we are not going to stand for it. It is unlikely that the proposed education cuts will be approved. In spite of a Republican majority, the House has blocked education cuts proposed by DeVos for the past two years. Those cuts are even less likely to be approved now, with a Democrat-controlled House. Wake up people.We are going backwards not forward.These programs are very needed .Your saying there are people that just don’t matter. Stop and think about how many people you are completely putting the screws too. What’s next out of sight out of mind. Do your job.